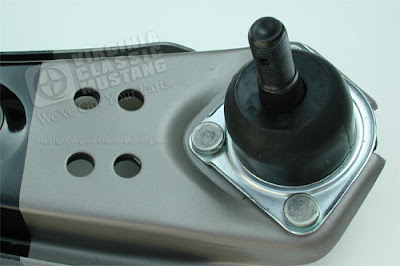 We now have a quality-built Front Suspension Lower Control Arm for your Mustang that is made more like the original unit. These control arms are Scott Drake brand parts. They are imported, but they have been produced using Drake's strict specifications. 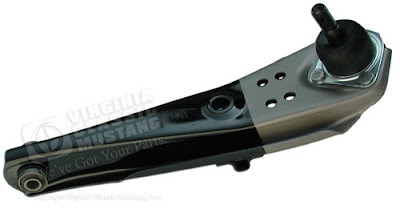 These control arms feature a "two-tone" paint scheme similar to the original arms. While the originals were natural and just dipped in paint, these are painted black and natural. Both the 65-66 and 67 styles feature the jacking tabs like the originals. The 68-73 styles do not have this feature. Please note that we still have our MOOG brand control arms. These are USA made and are absolutely fantastic units but do not feature the original details mentioned above. See all of the lower control arms available by clicking here. 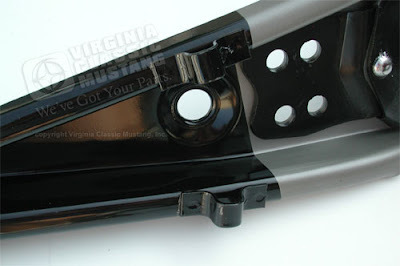 Oh, one more thing...we now have the same version of the Upper Control Arms in stock. We will post more about those on Monday. If you can't wait, check them out by clicking here.